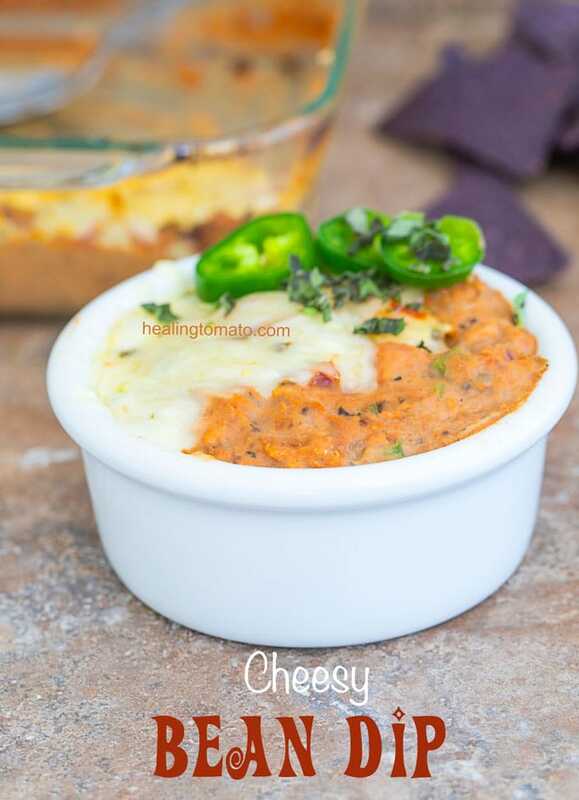 The best Mexican bean dip with Warm Cream Cheese and refried beans. Topped with 3 types of cheese before being heated in the oven. 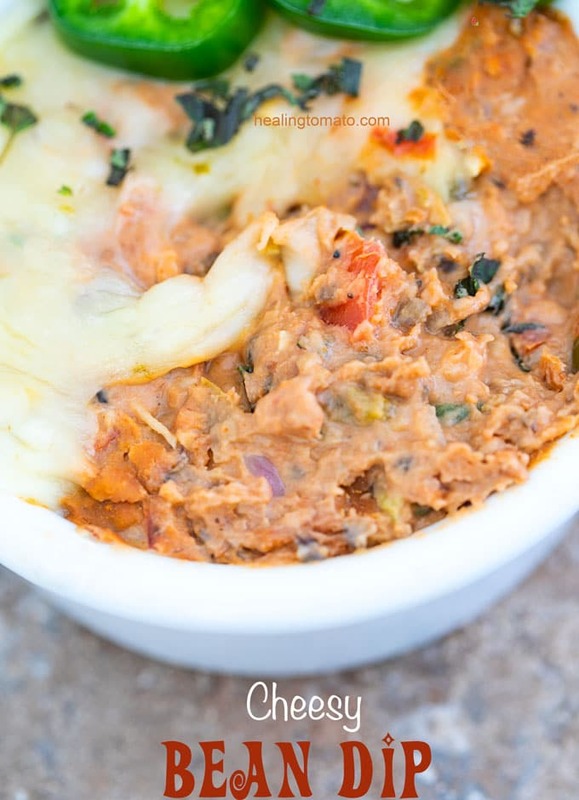 This vegetarian bean dip is super easy to make and tastes soooo good! Is there a more delicious sight than melted cheese? 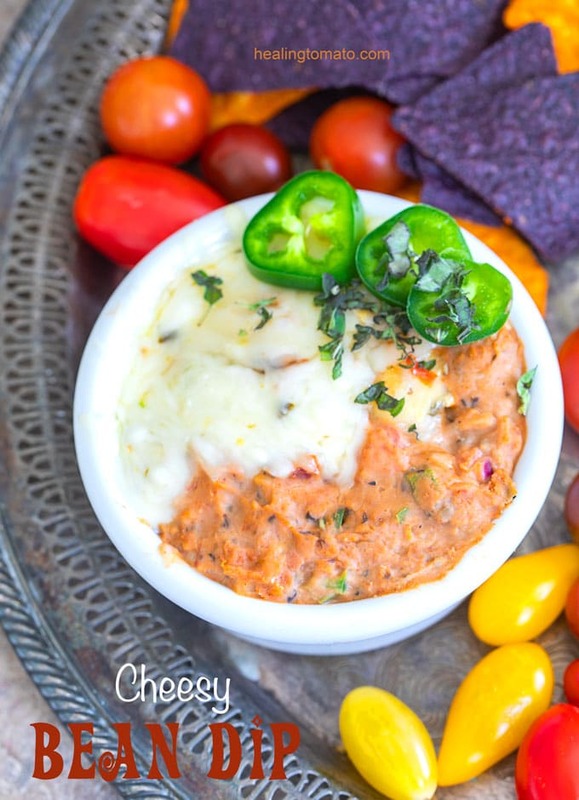 This dip has everything I want in my bean dip…. Mexican food is always popular in my home and with all of my readers. There is something very special about eating Mexican recipes. I think its because the food is so comforting and hearty. This time, I made this refried bean dip using my homemade pressure cooker refried beans. I think it added a nice authentic flavor to this recipe. Instead of making a layered dip, I decided to blend all the ingredients before placing it in a square casserole dish. 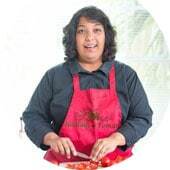 I am very impatient when it comes to eating good food. Layering all the ingredients one-by-one seems like too much work to me. I need something really fast and quick. This whole dip takes less than 2o minutes to make which is perfect! 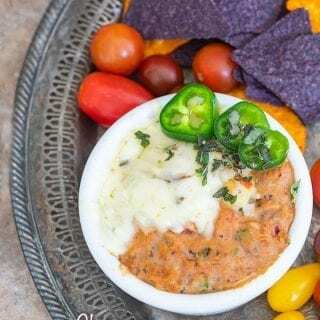 I can make this dip for game day parties, Cinco De Mayo celebrations or when I feel the need for a little comfort food! A dip for any occasion! 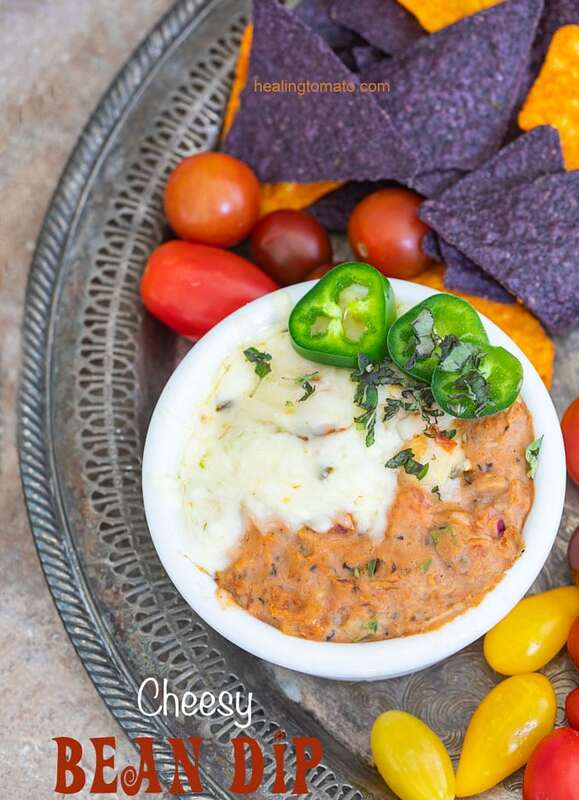 If you like hot dips, you will love my spinach artichoke dip and my savory pumpkin dip. I am not a big fan of low fat or 1/3 less fan of cream cheese, I thought this was the perfect recipe to challenge my believe system! For this recipe, I went with 1/3 less fat cream cheese and I wasn’t disappointed! To make it easier to work with, I let it sit on the counter for about 20 minutes. When the cream cheese was warm, I added it to the bean mixture. It blended so well and really brought all the ingredients together! This is the best looking dip ever made because I put cream cheese in it and that makes all the difference. The cream cheese adds a little creaminess to the dip and makes it really soft. So, when you put your tortilla chip in it, you get a balanced scoop of beans and cheese. Am I making you drool yet? I used a blend of 3 cheeses for the topping. I used Pepper Jack Cheese, Colby Jack Cheese and Cheddar Cheese. For best results, use cheese block and shred them.